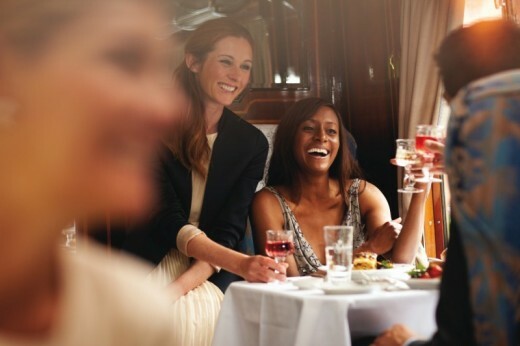 Take a luxurious journey through Britain's stunning countryside as you enjoy a four hour round trip aboard the Northern Belle, sister train to the famous Venice Simplon-Orient-Express. During your journey, you will enjoy a delicious four-course meal accompanied by half a bottle of wine and Champagne. Strolling musicians and table magicians will entertain you, as will the stunning views of the great British countryside. 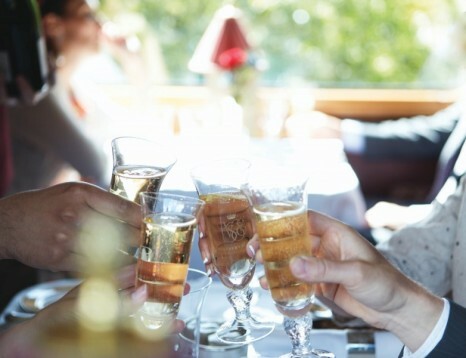 This journey aboard the Northern Belle is the perfect way to celebrate a special occasion. 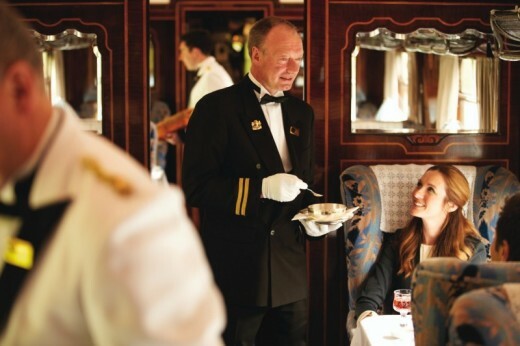 Step aboard the Northern Belle, sister train to the famous Venice Simplon-Orient-Express, for a luxurious four course meal. Enjoy the quintessentially British experience on a four hour round-trip through Britain’s beautiful countryside. 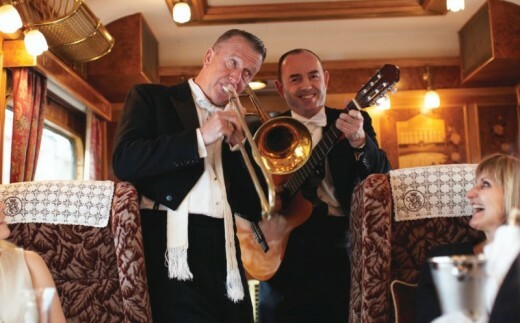 Strolling musicians and a table magician will entertain you on the journey as you enjoy a four course contemporary menu, accompanied by half a bottle of wine and Laurent-Perrier Champagne. Please arrive 20 minutes before your train is due to depart. Journey times vary. Please contact Reservations for more information. Your journey should last approximately four hours. Spectators are not welcome on this experience. Anyone wishing to join you for your fine dining experience journey should purchase a voucher. Smart casual wear is appropriate. Please do not wear jeans or trainers. This jounrney runs on the selected dates from set locations. All experiences are subject to availability. Please contact us for more information. Note at periods of high demand the trip you want may have increased in price so you maybe liable for a small supplement at the time of booking or alternatively you will need to look at dates further ahead in the schedule for departures that match your voucher price. No refunds will be paid for trips that have dropped in price compared to the voucher. Do you need any help with this gift idea, Northern Belle Fine Dining Experience?